I pride myself in doing a little research before I jump into a professional relationship with a contractor. Yes, it takes time, but being informed and understanding the process can prevent a lot of heartaches down the road. Whether its a dental procedure or resurfacing the bottom of my pool; I want to know how many times the professional has successfully completed the job and how they were going to proceed if they got my business. It’s no different in Kauai real estate. So, here is what you should ask in a listing interview. * Do you typically work in my price range? A simple but important question. Here’s why. Is your listing agent going to give your $375,000 home the same amount of attention that she will give her $2 million dollar listing? * How many sellers are you representing in my area? Why ask ? Well, if they have more than two properties in the same area I would think long and hard about giving them the listing. I want to know which home are they cheering for? … is it mine? It’s only fair to ask, “Will you have the time for me”? *Can you provide me with 3 references? A good agent is going to be able to provide names of former clients within the hour following the listing interview. There is only one correct answer: “I will have that for you today”. * What is your online marketing strategy? The clear and irrefutable fact is that today’s clients are savvy. They are doing their own on line research either with the basic sites like Trulia and Zillow. Or reading your competitors blogs and social media posts about the current market. You better have an online strategy. You better know your marketing metrics. * What is “your” average number of days on the market to sell a home in my area? Look, we all want the highest price for your home, but let’s also be real. Stop drinking the koolaid and ask yourself, “Am I giving the listing to this agent because they quoted the highest list price of all agents interviewed”? * What’s my house worth? Here are the facts. A real estate agent is NOT an APPRAISER, a real estate agent can give you facts about what homes sold for in your neighborhood in the past 6 months, average days on the market, and other particulars about homes in your area. But when you ask the inevitable question, ” What is my house worth”? Only an appraiser is legally qualified to answer that question. * What obstacles do I need to overcome to get my asking price? This is a good question. You like your house. The prospective listing agent likes your house. Now ask them what’s wrong with the house. 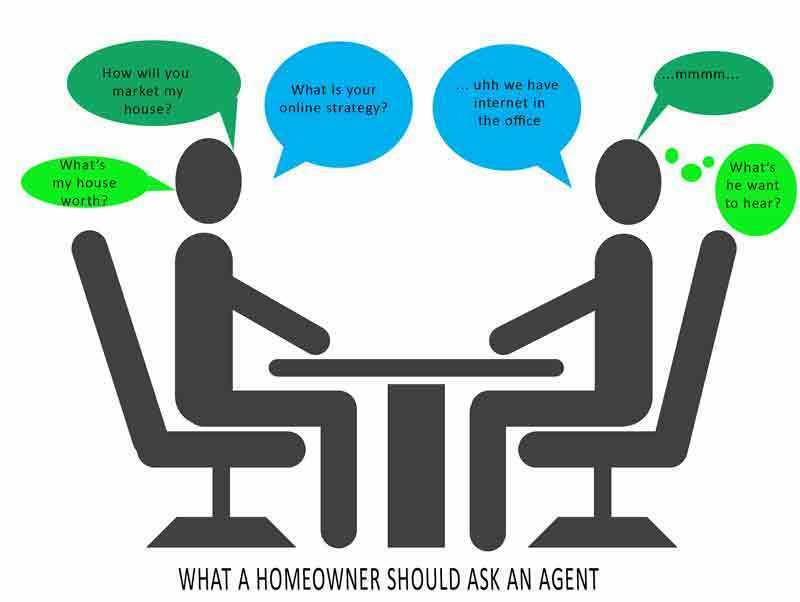 An honest agent will use their expertise to discuss your challenges in the current market. Remember this is business, you want an agent who is compatible but you also want honesty. You’re not looking for a bromance, you can find that at the local watering hole. You both have work to do. Ultimately what you should ask in a listing interview can be tailored to your style and comfort level. Use the knowledge that you have gained from living in your home and in the neighborhood to make a wise decision about the best fit in a real estate professional. I know there are a great deal more questions to ask an agent in the listing interview. Share them with us and we promise to reply. Lee Morey, PB is the owner of Coldwell Banker Turtle Cove Realty in Kalaheo. She writes extensively on Kauai real estate and fun things to do on Kauai. She is past president of the Kauai Board of Realtors and is currently on their Government Affairs Committee.